Do you have any product to help me erase my DVD? Q: Do you have any product to help me erase my DVD? A: Yes. 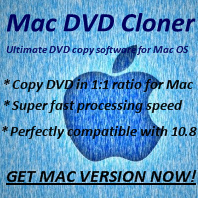 Any DVD Cloner Platinum can help to erase DVD independently. 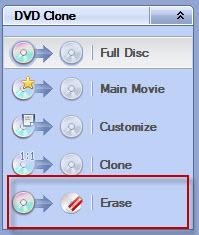 Insert the written DVD-RW or DVD+RW into DVD drive, then launch the program and click "Erase DVD" in DVD Clone panel. Then click "Start" button and Any DVD Cloner Platinum would erase DVD immediately. Generally, it would take a few minutes to finish the erase process.